To coincide with the UK release of my book this August (so soon!!) I’ve contributed a piece to a wondair website called The Fertile Fact. If you click on the link you’ll discover that the website is dedicated to certain subjects and their potential likings or loathings of modern life: all dreamt up by a biographer, of course! I’ve devised and submitted my list for Nancy…6 things she would have loathed about modern life. I’ve tried to be very creative and incorporate lots of Non-U elements from today’s society i.e. modern technology, reality tv etc. But what do you think the French Lady Writer would have liked/loathed about today?? I wish I could do one for Pam, I do think she would have loved Lidl..do admit! I received this beautiful book last week from Shire Publications. Our friend from The Mitford Society, Lucinda Gosling, went to great lengths to combine the delightful photographs and text to tell the story of a bygone era. The photographs were used from the Mary Evans Picture Library and accompany the text throughout. Not only do they feature photographs of the Mitfords, including a very rare photo of Diana and Bryan Guinness, but other debutantes too. The book is a quick read and will transport you on a journey through the glamorous 1930s and 1940s, but it’s also a lovely keepsake for the gorgeous photographs alone. You can purchase the book for £6.99 from Shire Publications. Until the middle of the last century, London’s social calendar was dominated by ‘the Season’, a round of social events and parties during which the daughters of the upper classes made their ‘debuts’. Debutantes and their families descended on the capital from all over Britain to take part in this elaborate process that in its blend of glamour, great privilege and archaic and sometimes comic ritual is emblematic of a world now lost. 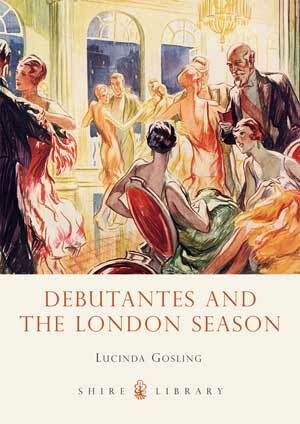 From the preparations and formalities of court presentation to the exhausting round of parties that followed, Debutantes and the London Season is a detailed look at a phenomenon that was central to the lives of generations of privileged young ladies.